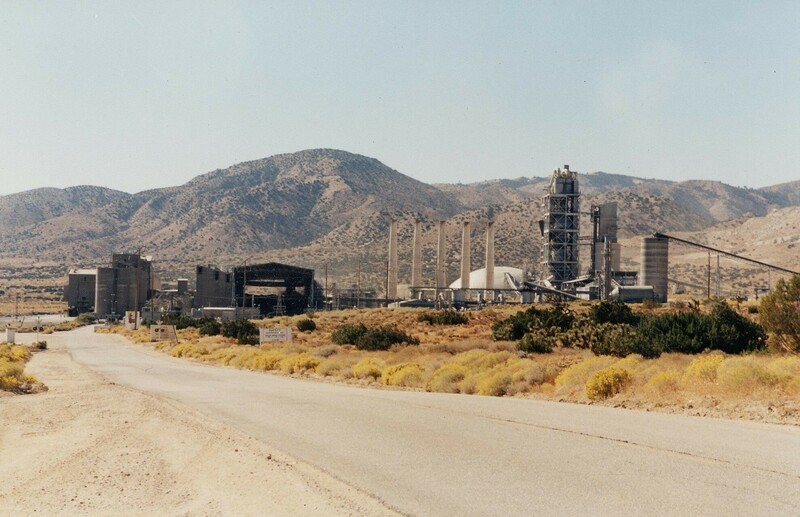 The California Portland Cement Company's Mojave Plant extracts limestone with which it then produces cement, at this 9,000 acre site. The plant opened in 1955, after a nine mile rail spur connecting the site to the main line at Mojave was built by the company. The plant has been expanded and modernized a number of times, most recently in the early 1980's. It is one of three locations for this company: the others are at Rillito, Arizona, and at Colton, California (where a literal mountain of limestone can be observed slowly disappearing, on the south side of Interstate 10). Cement from the Mojave facility was used to build the Bonaventure Hotel in downtown L.A., Dodger's Stadium, and the second L.A. Aqueduct.